Unsolicited attention and quiet chatter as you breeze by will become a standard weekday afternoon when you get behind the wheel of your 2019 Nissan Rogue. To say this sporty SUV is a beautiful ride inside and out would be an understatement. The 2019 Nissan Rogue offers progressive styling that is raising the bar for compact SUVs in its class. Picking up right where the 2018 Nissan Rogue left off, the signature “V-Motion” grille and headlights with LED Daytime Running Lights help illuminate the Nissan Rogue’s dynamic presence. The sleek and sporty look is enhanced with the available upgraded Sports Edition package on the new Nissan Rogue S trim. Available features including 17-inch aluminum-alloy wheels, power heated outside mirrors with LED turn signal indicators, rear privacy glass and chrome exterior door handles all compliment the sleek and stunning Nissan Rogue exterior package. 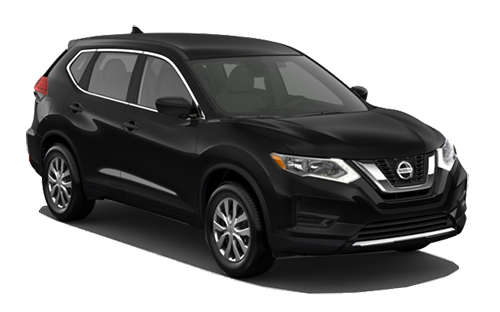 The 2019 Nissan Rogue is currently offered in 9 exterior colors: Brilliant Silver Metallic, Gun Metallic, Magnetic Black Pearl, Pearl White Tricoat, Glacier White, Monarch Orange Metallic, Caspian Blue Metallic, Midnight Pine Metallic, and Scarlet Ember Tintcoat. Still not convinced? Enhance your shopping experience and visit your trusted Nissan dealer at Bob Moore Nissan to test-drive a new Nissan Rogue today. The 2019 Nissan Rogue offers standard equipped 2.5-liter 4-cylinder engines rated at 170 horsepower and up to 175 lb-ft of torque. This powerful engine is paired with an advanced Xtronic transmission that offers standard Sport Mode or Eco Mode switches. To get a more dynamic and manual feel of the drive, power on the Sport Mode, or if you’re looking for maximum efficiency, engage Eco Mode with the press of a button. What’s more impressive about the power behind this compact crossover is the efficiency it brings beside it. Fuel economy is rated at an EPA-estimated 26/33/29 city/highway/combined MPG for front-wheel-drive models. Meanwhile, the Nissan Rogue AWD models offer a 25/32/27 city/highway/combined MPG. There are several wheels and tire combinations that are offered with the 2019 Nissan Rogue. The Nissan Rogue SL model offers standard 19-inch aluminum alloy wheels with all-season tires, while the Nissan Rogue SV features 17- or 18-inch aluminum alloy wheels. Each and every Nissan Rogue model has a standard Tire Pressure Monitoring System with position monitoring to provide constant feedback to drivers when the system finds discrepancies in tire inflation across all 4 wheels. 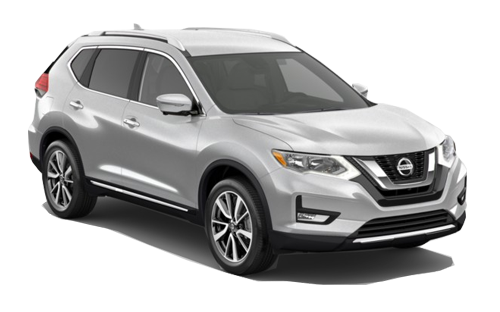 This level of quality and performance continues to illustrate the premium package options the Nissan Rogue brings to the table, and why Oklahoma City drivers continue to choose Bob Moore Nissan over all other auto groups. The 2019 Nissan Rogue was engineered for a powerful driving experience, but with the utmost importance on uncompromised safety for everyone. The Nissan Rogue comes with standard Nissan Intelligent Safety Shield technologies. These safety features include Lane Departure Warning, Intelligent Lane Intervention, Automatic Emergency Braking with Pedestrian Detection and even a radar-based Blind Spot Warning alert. These features plus a Rear Automatic Braking feature are added to the Nissan Rogue SV and SL grades respectively. Piggybacking from 2018, the 2019 Rogue brings back the innovative ProPILOT Assist system, which can ease the driver workload by reducing the amount of acceleration, steering and braking input that’s required under certain adverse conditions. These conditions could be heavy rain, rocky terrain or windy roads. The Nissan Rogue senses these conditions to assist with each one individually. For the 2019 Nissan Rogue or other Nissan vehicles, visit Bob Moore Nissan – Oklahoma City’s trusted Nissan dealer! It’s one thing to admire a car from afar, but it’s another thing to fall in love with it when you get behind the wheel. Inside, the 2019 Nissan Rogue offers a premium look and feel that resonates with you as the driver, and every passenger as well. Among the interior features found in the Nissan Rogue are a D-shaped steering wheel and leather-booted sport-mode shifter. Available upgrades including a heated steering wheel, memory for driver’s seats and mirror and a remote engine start. Even more top-tier features are highlighted in the Platinum Reserve Interior Package, which offers premium tan leather-appointed seats with special quilted leather inserts, available on the Nissan Rogue SL trim level exclusively. The front seats in your Nissan Rogue feature a special “Zero Gravity” design to them. The driver’s seat is a 6-way adjustable, with available power adjustments including lumbar support, while the front passenger seat is 4-way adjustable. Available Quick Comfort heated front seats offer drivers to immediately begin warming up on even the coldest of days. The 2019 Nissan Rogue is nothing short of a pioneer with top-quality tech features that are sure to keep every member of the family happy. Standard features include SiriusXM® satellite radio, an impressive 5-inch center-meter color display, 4-speaker AM/FM/CD audio system, USB connection port, Rearview Monitor and streaming audio via Bluetooth® connectivity. All Nissan Rogue models also include NissanConnect, which features Apple CarPlay™ and Android Auto™ with a 7-inch color touchscreen display. New to this year’s Nissan Rogue model is the innovative Rear-Door Alert (RDA) system, which can help remind drivers and passengers of items that may be forgotten in their rear seats such as valuables, dry-cleaning, groceries, and more. For drivers seeking reliable vehicles at an unbeatable rate, look no further than Bob Moore Nissan. Bob Moore has been the premier Nissan dealer Oklahoma City trusts for new cars, Certified Pre-Owned models and a top-tier service department. Whether it’s your very first visit or one of your many stops in; your experience at Bob Moore Nissan is always a pleasant one.